IchiEnSou is located in an idyllic location, one street off the main street in the most famous Geisha district in Kyoto, called Gion. 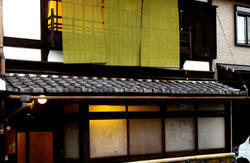 The city centre and numerous famous temples and shrines are also within 5 minute walk. IchiEnSou was renovated in late 2007 to make your stay as comfortable as possible and yet retain the original features of the original house which was built during the 1920's. 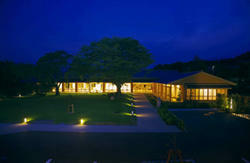 We have a 4 bed female dormitory and a 7 bed dormitory. 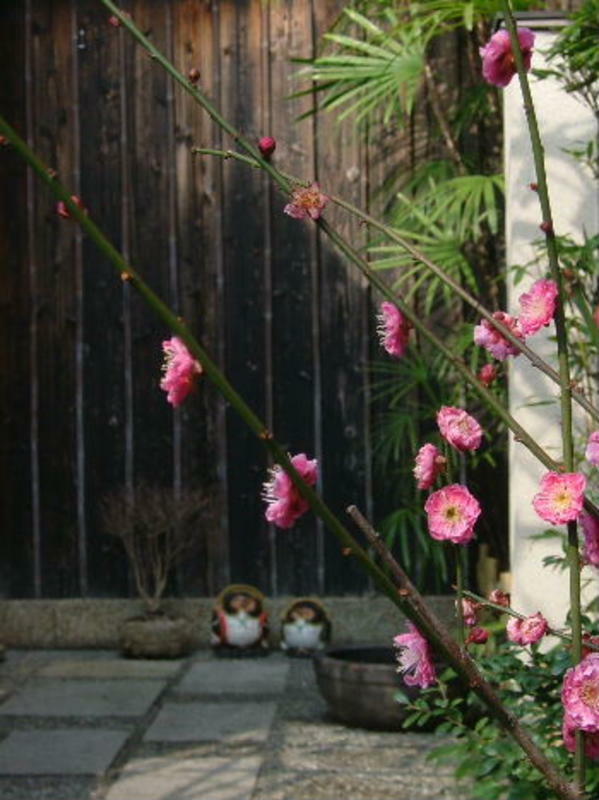 We are very pleased to help you plan your time in Kyoto and make your stay as memorable experience as possible while at IchiEnSou. IchiEnSou is a small guesthouse operated by a family. We hope you enjoy our relaxing and socializing environment. However, we place our most priority on a good night sleep for our guests. We kindly request to keep quiet between 23:00pm and 8:00am in the entire building. For your cancellation request (also any changes in your booking details), please inform us by email at least 7 days in advance. On this website, we DO NOT accept group bookings with more than 3 people . Please contact us directly if you would like to make a group booking. Check-in time is between 16:00 and 22:00. However, we are happy to keep your luggage between 8:00 and 14:00. The below hours are our CLOSING hours. Please note if you'd like to drop your luggage. We strongly recommend MK taxi for the service and cost. Please ask a driver to give us a call for the location of IchiEnSou. They might take you to a wrong place otherwise. Take a JR Nara line train to Tofukuji, the first stop from Kyoto station. Transfer to Keihan line at Tofukuji and take a train bounded for Demachiyanagi. Get off at Gion Shijo and walk out of the exit #6. The building you just came out from is Minamiza theater. To get to the guesthouse from Minamiza theater, walk one block to the east (to the right when you come out from the exit #6) (walk away from the river on the map) along Shijo street (main street) and turn right at the first traffic light. Walk south for one block (30 meters) from the traffic light, you will see a narrow street (first street from Shijo street, about 3 meters wide) on your left hand side. Walk in to the street for 15 meters from the corner and you will see a small sign, IchiEnSou, on a piece of wood on the black gate of the guesthouse on your left hand side. Please walk in to the passageway and you will find yourself finally arriving at the guesthouse!! Take a bus #4 or #17 or #205 at A2 platform from Kyoto station and get off at Shijo Kawaramachi. Walk back about 15m to the main intersection of the two busy roads, Shijo and Kawaramachi. From the intersection, walk towards Kamo river along Shijo street and after crossing the bridge, you will see the theater over the traffic light. The directions to IchiEnSou Guesthouse from the theater ( Minamiza Theater ) are shown above. 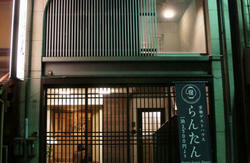 If you found it difficult to get to the guesthouse, please give us a call from a public telephone outside the theater. Since it takes only 2 minutes for us to go and meet up with you at the theater from the guesthouse, we are more than happy to do so. Please do not hesitate to call us.